1. Use in Every Wash 2. 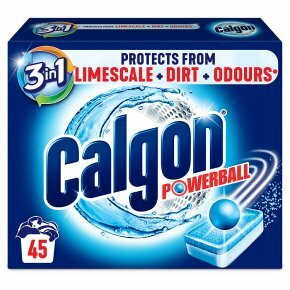 Add one Calgon tablet on top of your normal detergent in the main wash compartment. 3. Dose the quantity of laundry detergent recommended for soft water. For best result use with phosphate free detergents. 4. Suitable with all types of fabric. Keep out of reach of children<br>IF IN EYES: Rinse cautiously with water for several minutes. Remove contact lenses if present and easy to do. Continue rinsing.<br>IF SWALLOWED: Call a Poison Center or doctor/physician if you feel unwell. If medical advice is needed, have product container or label at hand.